for the upcoming Blogville Marathon! Run Duncan run! That is great training. Looking good there Duncan. Have a marvellous Monday. 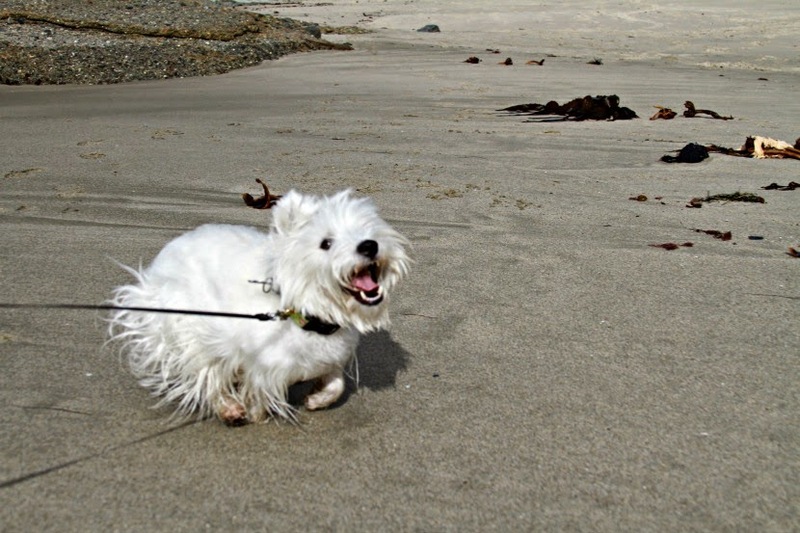 PAWfect, running along the beach is a great way to train! Yes they are! Keep on training! We totally agree!! Arty's favorite place to train is on his beach too! Do you look happy or what !! Oh yeah.....you are going to be hard to beat! Just look at you goooooo! Man that sand training is a real great workout.....you are awesome! Beach diggin wuz my favorite. Dat and chasin waves. BOL!!!!! OMD, that is one FABulous pic Duncan!!!! Yuppers ~ that's the California style, alright!!! Perfect training Duncan. Love the facial expression! That looks like fun! Hey I, Walter, am hosting a zoomie party on Boyz night out. This would be a perfect picture to email to me for that event.